shop feature: heritage mercantile co. Welcome to Heritage Mercantile Co. It’s super fabulous in here. On my visit I met the owner – Jennifer. She’s incredibly sweet and loves all of her featured makers. Jennifer puts together a lovely collection of meaningful, quality wares. I really enjoyed all the displays, too; such great merchandising! You can find something for everyone on your shopping list, including pup. 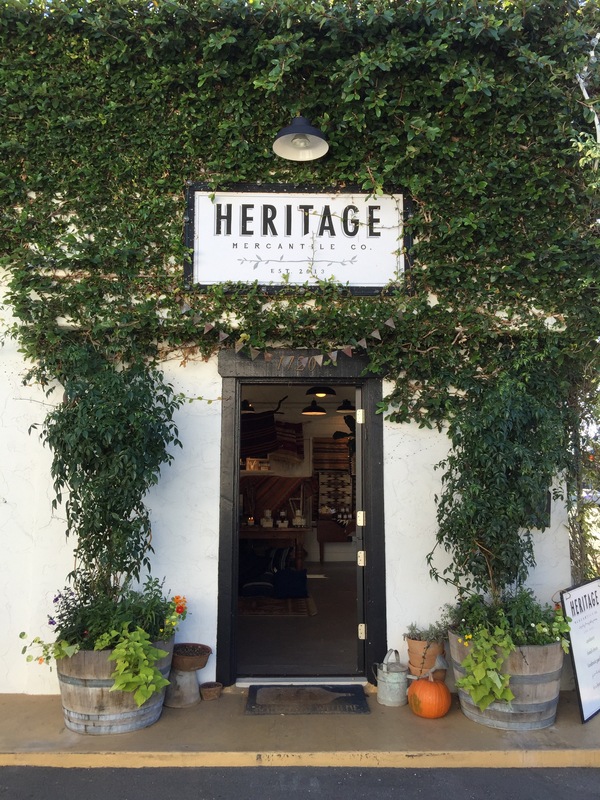 Heritage is a great place to shop for soaps, candles and other housewares. They screen print in store, too, (check out their art prints and cute onesie collection) and hold classes. Heritage is off the main road in a quaint corner lot. Visit them! And if you’re buying a gift, you can get it gift wrapped in a classy wooden box. Oh, and if you’re purchasing lots, you can get a free Heritage tote with $100 purchase. Winning on all levels! Thanks for sharing your shop with me Jennifer! What fun gift shops have you explored recently? Share below!